How are you different from your competitors? What is the main differentiating point between you and that construction company that’s been stealing your bids? Okay, here is a better question: What are you doing to market your unique value proposition? As a construction company, it can difficult to find to relay why you’re better than the competition. Harder yet, it sometimes may seem damn near impossible to stand out amongst the crowded field of other builders and designers. Luckily for you, there are some fantastic marketing agencies who specialize in helping construction companies take their marketing to the next level. 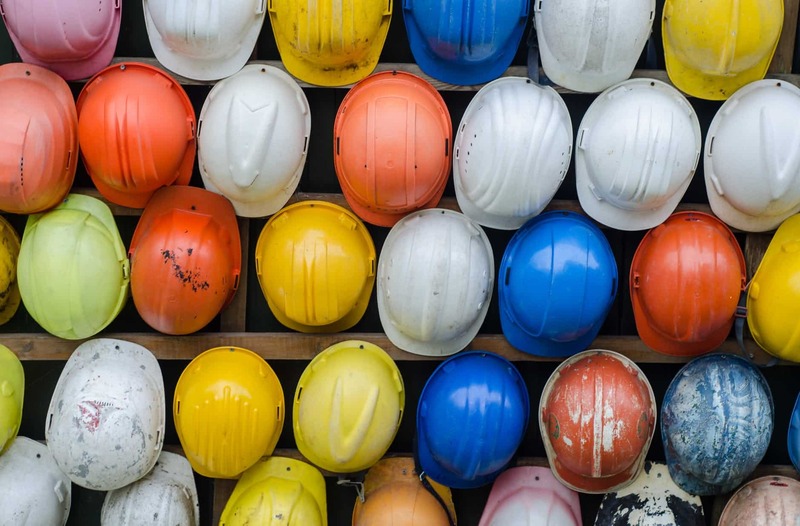 Break through the clutter with one of these 7 construction marketing agencies. Straight North is a national company, with multiple offices throughout the country — from Los Angeles to New York, to Austin and Charlotte. Straight North is a well-rounded marketing agency that works with companies in 28 different industries, with construction being one of them. Straight North emphasizes purpose with construction marketing initiatives. They preach researching the market to understand your target audience better, creating strategic campaigns around this information, and then being consistent with your strategies and messaging. Here at Hook Agency, we’ve been working with construction clients for quite some time now. During these partnerships with home builders, remodelers, designers, roofers, and more, we’ve helped attract more quality leads and increase our client’s conversions. We are passionate about helping small and medium-sized business thrive. Through the SEO and web design and development services we offer, we propel our clients to new heights by attracting more quality leads and driving conversions. These days, it’s essential for business — no matter the industry— to have an exceptional web presence. At the root of a solid digital marketing strategy are your clients — their needs, wants, and pain points. We’ll work with you to tailor your website to fit what your ideal clients are looking for. Take a look at some of our past work and see how we can assist in growing your business! Brantly Agency in California covers website design, digital marketing initiatives like public relations and paid media, and branding. With its branding services, Brantly understands the importance of making your company stand out in the crowded marketplace today. This is especially true for construction companies, where from an outside perspective, maybe a lot of them look the same. However, each construction business is quite different from one another and the key is to make sure those difference are clear and distinct in your messaging. Brantly does branding right. Specializing in web design services, Iceberg has over 60 years of experience between its full-time employees. They work with retail companies, law firms, construction businesses, and more. Their 5 phase process begins with laying the groundwork and onboarding their customers, then moves on to design, development, launch, and then ends with ongoing maintenance. Since 2005, Iceberg Web Design has been delivering solid sites for their clients. They even offer free website consultation services as well. Another local agency here in the Twin Cities, Linnihan Foy covers such services as public relations, application design and development, and business and marketing consulting. Linnihan Foy works at the crossroads of design, business, and technology to help bring companies up to speed with their marketing strategies. Taking things out east, Contractor Dynamics is located in New Jersey and has been serving clients since 2012. With social media, website design, and SEO as their main services, Contractor Dynamics has proven that they can get results for their clients. Through their monthly reporting, same-day client support, and website updates they’ve become a staple of construction marketing on the east coast. Moving on down south to Texas, we have Thrive. They are a full-service agency that provides everything from web design, PPC, email marketing, and more. After initially kicking things off as a one-man shop, Thrive has quickly grown into the agency they are today. They have 5 principles they follow, which are big-picture thinking, high-quality standards, personalized attention, results-fucoses innovations, and exceeding client expectations. Their passion for helping business has made them a favorite for construction companies, especially those located in the South West. There isn’t exactly a right way to answer this. While some agencies are perfect for one business, they may not be a great fit for another. It all depends on what your goals are and what teams you enjoy working with. Before you do end up making any big decisions for where to outsource your marketing efforts, make sure you take the time to get to know who you may be working with. Figure out their work style and personality, and whether or not it will mesh with your own. On top of this, make sure that they have a proven track record for helping businesses like yours excel. If you’d like to get to know us and learn more about Hook Agency, feel free to hit us up to set up a coffee meeting. We love to learn more about your business and yourself. This entry was posted in Construction, Miscellaneous. Bookmark the permalink.